Ahhhh such nostalgia from this one.. Man, there's just something about these older dramas. 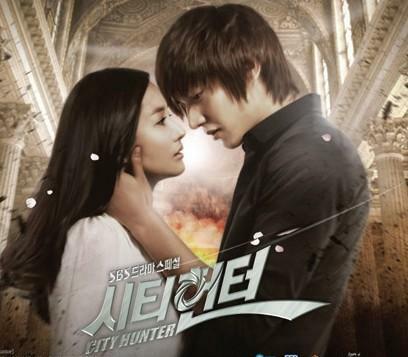 City Hunter was the 2nd foreign drama I ever watched. The 2nd foreign show at all, come to think of it! Of course we can thank Lee Min Ho for that with Boys Over Flowers being my first ever Kdrama. Naturally I would then start the flow of watching an actor I already knew of so this drama was next on the list. City Hunter is the drama that made me realize I could actually like action-type shows/movies. Before then, I just never watched them. I'm thankful for this drama because of this. I'm thankful because if I hadn't watched this drama, I probably still would be refusing to watch anything action based. And of course just because of Lee Min Ho. Though I can't stand how it ended.